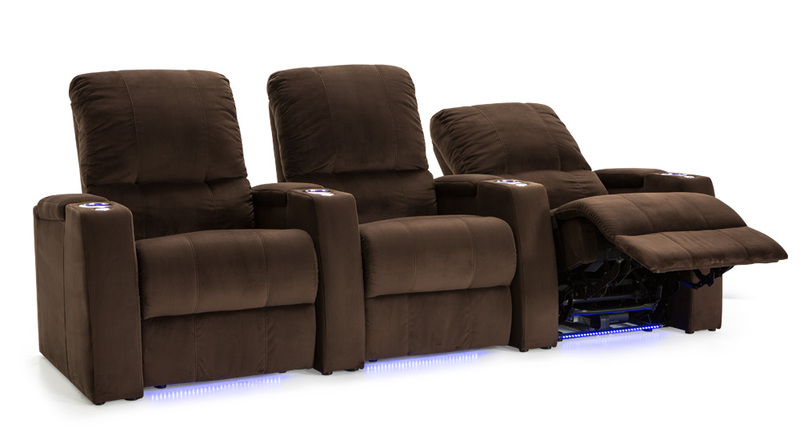 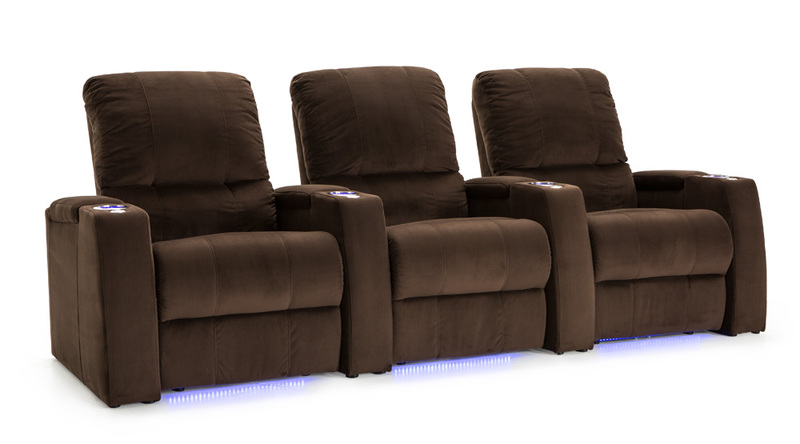 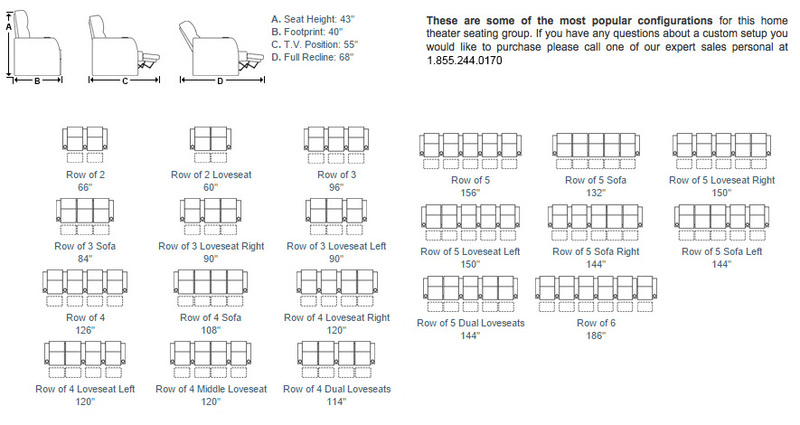 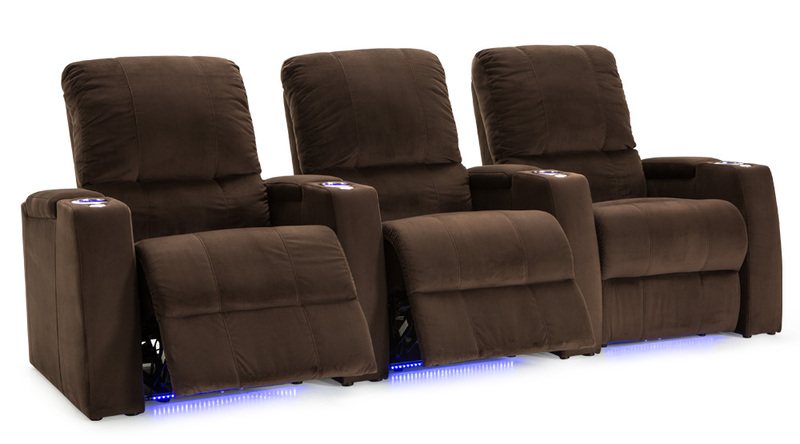 The Seatcraft Your Choice Aspen home theater seat is an exceedingly cozy, smooth set of media room seats that fit snugly into any room. 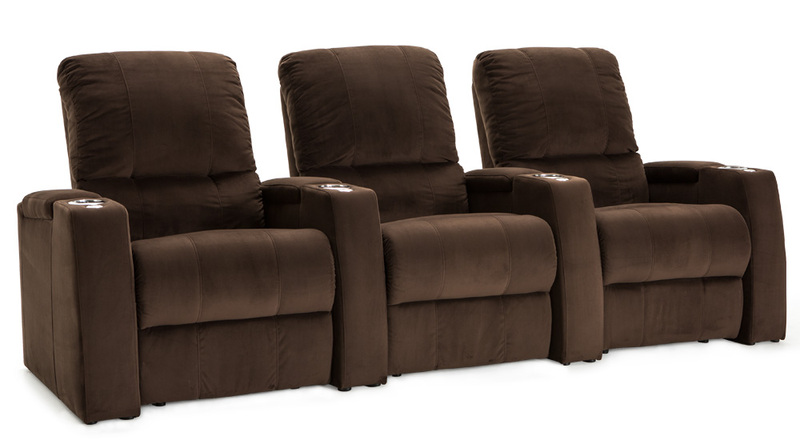 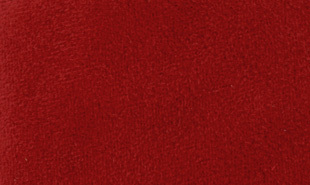 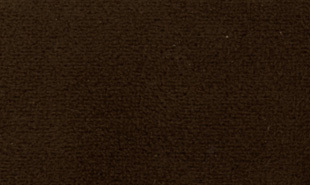 The seat back is a contemporary two-section split, with plenty of padded cushioning for the upper body. 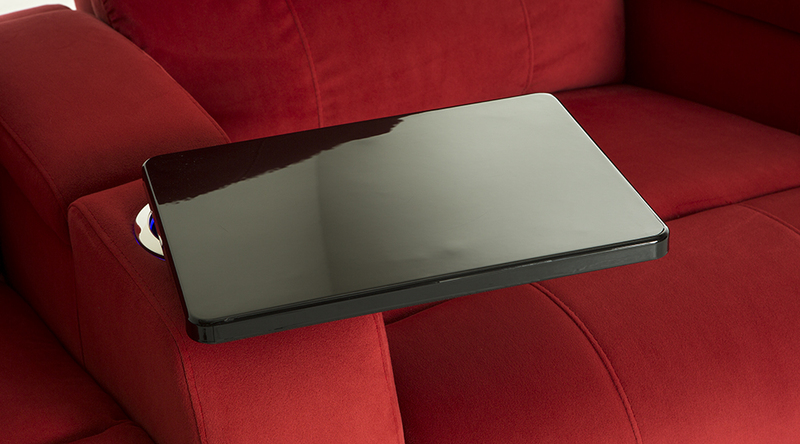 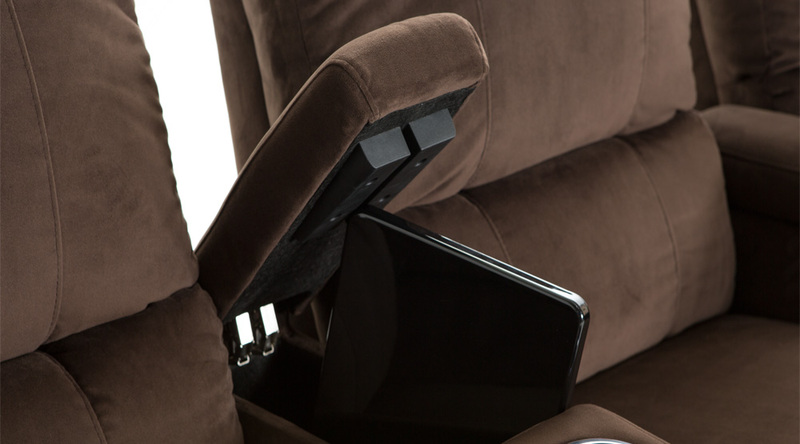 The seat is available in manual or power recline; in addition, a USB station allows one to charge laptops and cell phones, widening the entertainment options available at your fingertips. 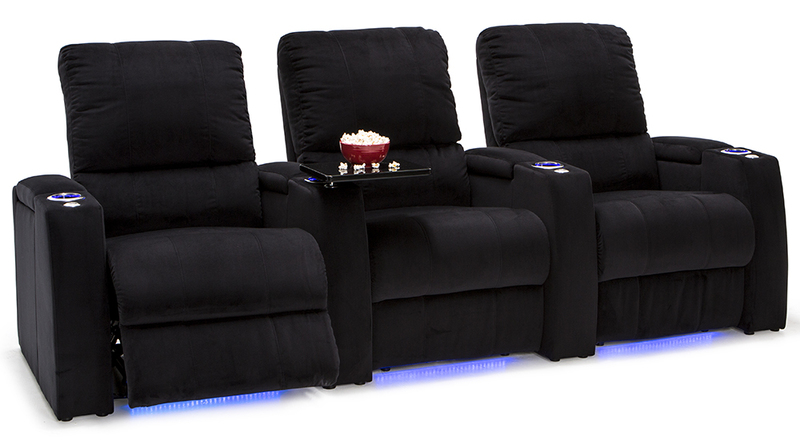 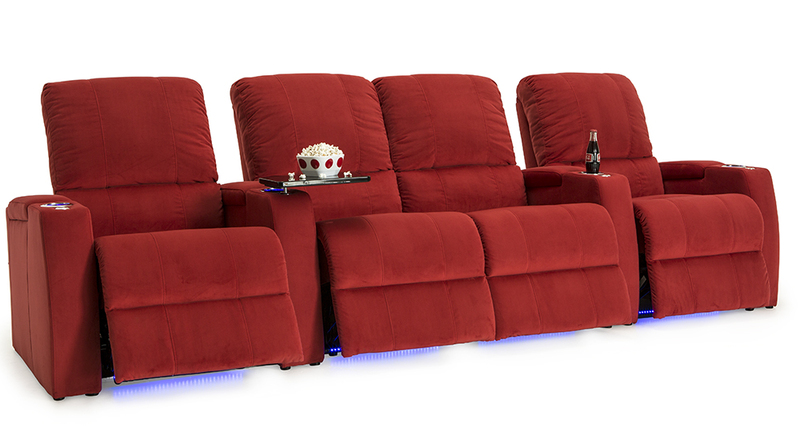 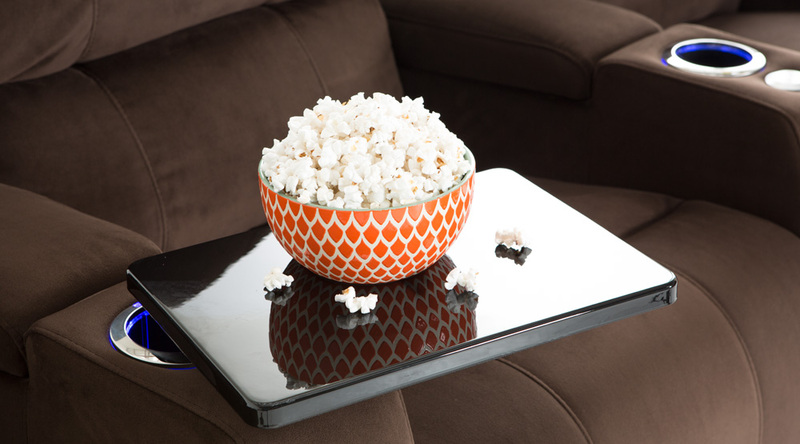 Included tray tables in this home theater seat let one place remotes, snacks, and reading materials within easy arm’s reach, which can be put away in seconds within convenient storage compartments located within each armrest. 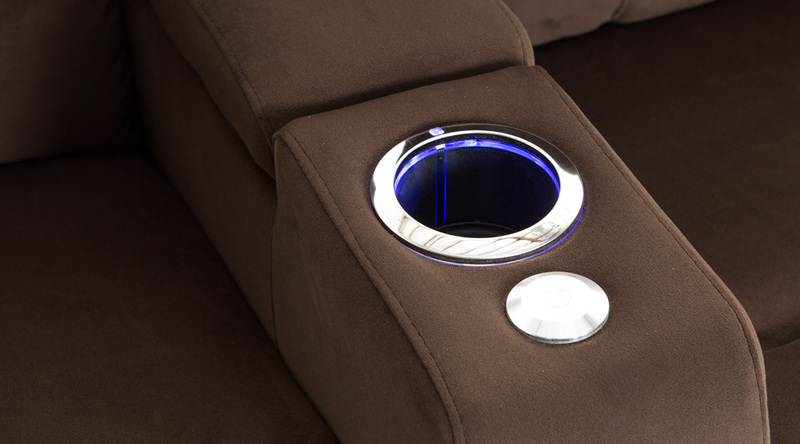 Lighted cup holders also keep beverages close by and gently illuminated; the soft azure glow of the cup holders extends to ambient base lighting perfect as a discreet means for guests find their seats in the dark. 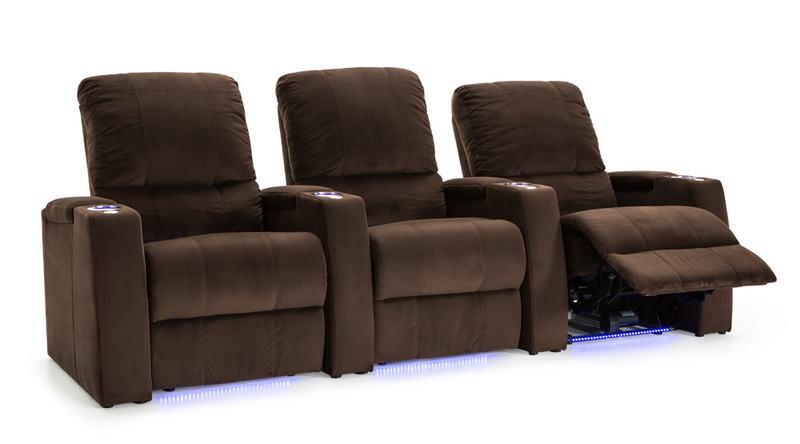 The warm invitation of the Seatcraft Aspen’s luxurious softness combines with its convenient features for seamless home theater enjoyment. 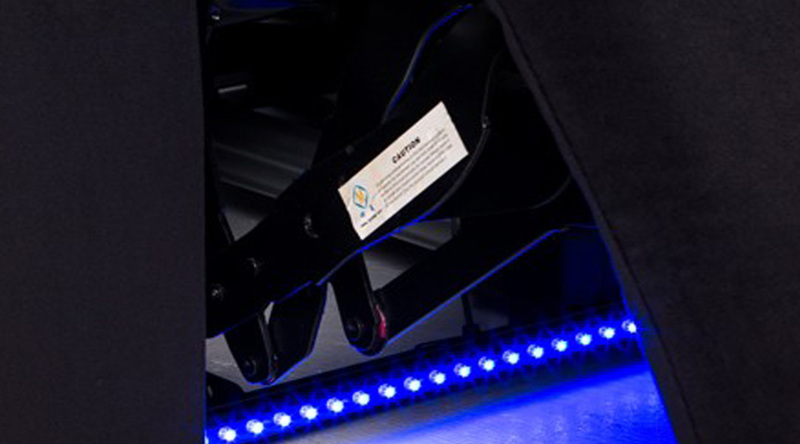 These cup holders keep drinks secure and within arm’s reach. 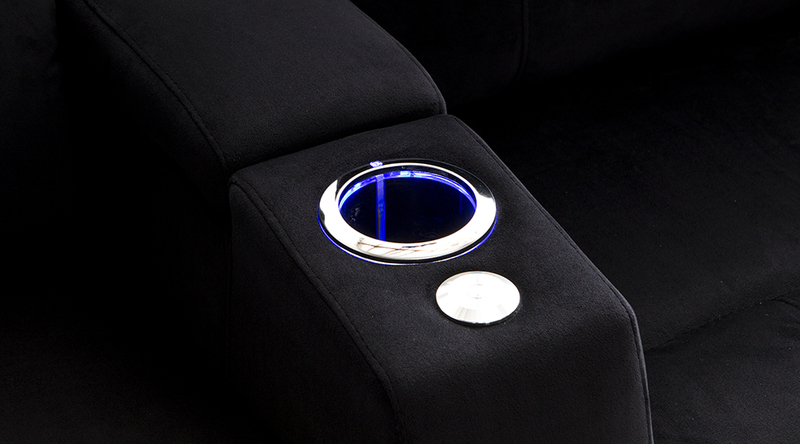 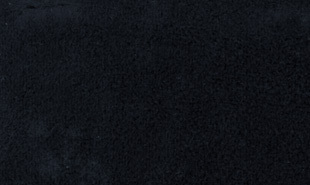 A soft azure outline around the ring of the cup holder, makes them easy to find in the dark. 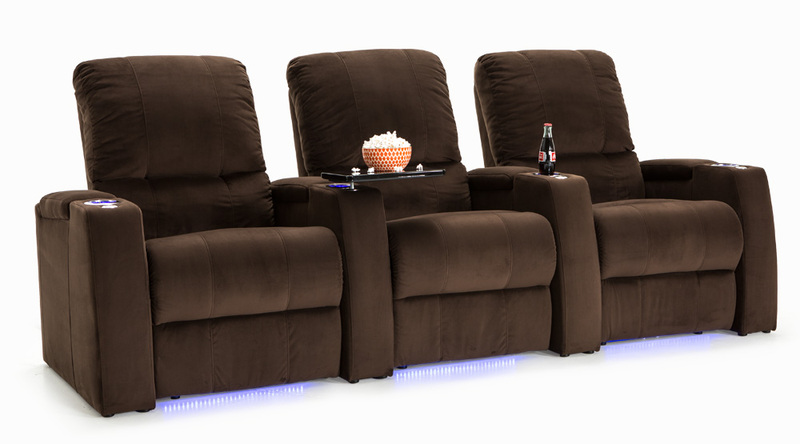 Touch-sensitive buttons also allow one to operate the chaiselounger feature. 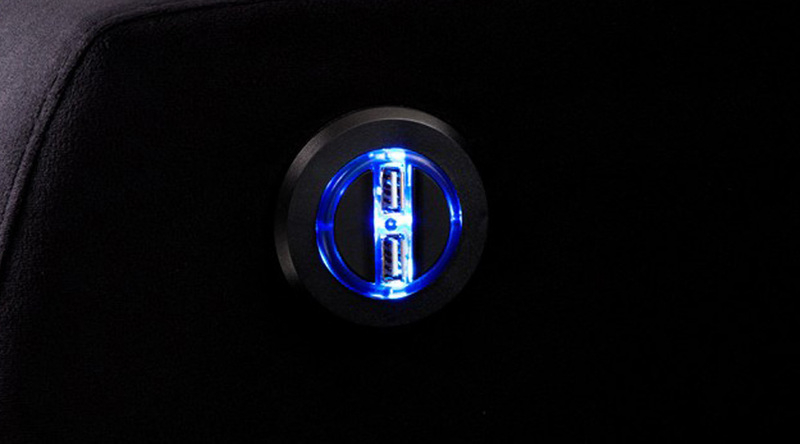 This USB Charging Station is perfect for the charging of cell phones, laptops, tablets and other electronic items. 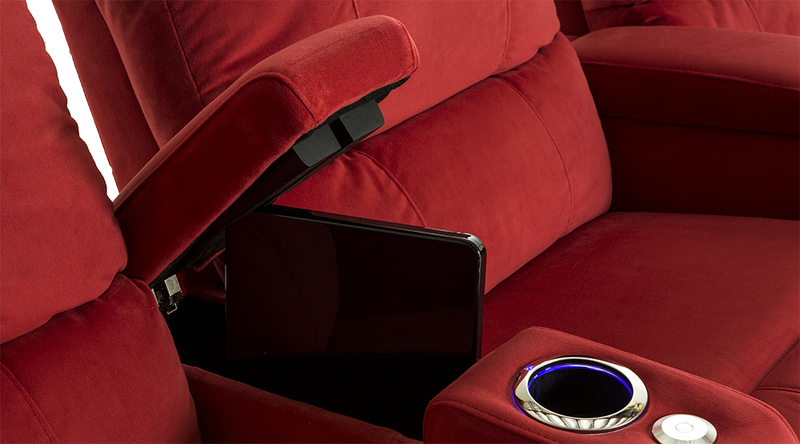 Increase the range of entertainment available at your fingertips, without having to leave your seat. 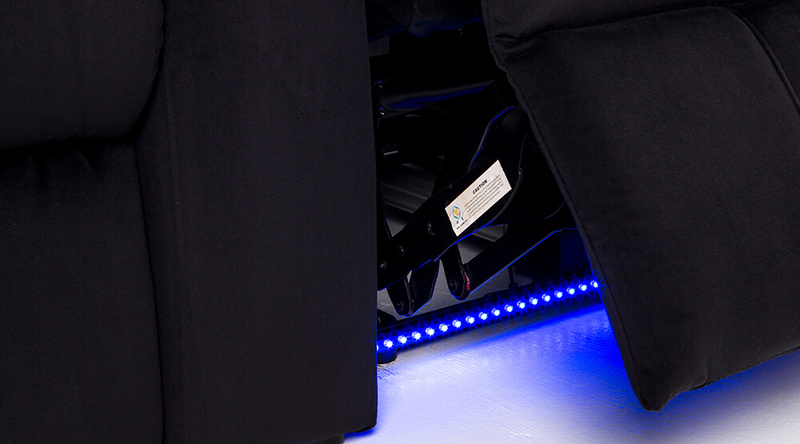 Your guests will always find their seats in a darkened theater with this soothing ambient base lighting, which emits a warm azure glow for an understated marquee effect.